...I did add some pearls anyway! I added my banner with cake and sentiment to the piece of Ruffled card stock and here you have a wonderful card that sends wishes to anyone for their special day. Thank you for looking today! Won't you leave me a comment? 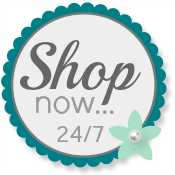 Please use my Online Store any time you order Stampin' Up! products. I'd love to be your demonstrator.